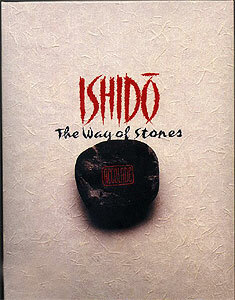 Ishido was my first commercial software project, a contemplative solitaire game played with tiles. Michael Feinberg designed it and Brad Fregger, the producer, was nice enough to take a chance on me, an untried 17 year-old, to program it. I ended up contributing much more than just programming to the game, and I'm still quite proud of it. Near the end of development, the publisher (Epyx) suddenly went bankrupt. Undaunted, we took the game and published it ourselves, going all out, with a signed limited edition in a Japanese-style handmade walnut slip box. This unusual move caused quite a stir, and these original editions are still collector's items today. The following year, Accolade picked it up and published the first mass-market version. Since then, there have been many adaptations (both authorized and unauthorized) to various platforms and languages. You can play the classic Mac or DOS versions online at the Internet Archive. For the DOS version, it'll first ask you what graphics mode you want. Type V (for VGA) and hit enter. Once you're in the game screen, right click to get the menu to start a new game, etc. Download Ishido for Mac (works on Classic Macs, as well as in Classic mode in Mac OS X; PowerPC and pre-Leopard only). For more modern Macs, you'll need to use emulation; the Ishido page on Macintosh Garden will tell you what to do. The Windows version is an old DOS program, but it runs fine in XP; otherwise you'll need to run it in DOSBox. It'll first ask you what graphics mode you want. Type V (for VGA) and hit enter. It'll present a dialog box about the folks who disabled the copy protection; just hit enter. Once you're in the game screen, hit Esc to get the menu to start a new game, etc. Please let me know if you have any trouble. AmigaLove's Ishido review has an ADF file with the game. Look for the red Download button. You may also need the code wheel for the copy protection, you can find that just under the Download button in the "Helpful Assets" section. The original Ishido was presented with a Legend of the Stones that spun a fine yarn about its origins. Game Oldies lets you play the GameBoy version; the page is littered with ads though. Hit the round orange "Play Now" button. Once the game has started, use the arrow keys to move and the X key to drop a stone. There's also an open source Ishido for the Palm. The original black & white Mac version of Solitaire Royale, also produced by Brad Fregger, and quite possibly the first computer solitaire card game, has just resurfaced. Download Solitaire Royale for Mac (works only in Classic), or get it plus emulation from the Solitaire Royale page on Macintosh Garden (works on modern Macs). "I have one of the hand-made boxed sets of Macintosh Ishido - it sits atop the bookshelf which houses all my tomes on Tao, Buddha and Musashi. I have always contended that Ishido was the most visually beautiful and artistically created piece of computer software ever created. Not to mention the exquisite implimentation of the I Ching. Thank you for the hours of enjoyment you brought into my life." "I have spent many many hours on the Mac version of Ishido, one of the most relaxing and enjoyable games I have ever owned. I lost the ability to play it when I junked my Mac IIcx. Big mistake. My kids remember it and so does my wife; they just asked me to get them the original Ishido for Christmas. Any advice? I am even willing to get a new iMac if I can run the original game."